Often, the hardest part of launching a new website or getting a marketing plan off the ground involves getting content from different members of the team or organization. Having multiple perspectives and ideas is helpful, but it can also turn something that seems simple into a herding exercise. And yet, that’s exactly why we need their input when it comes to content for web pages, blog posts, and even visuals. They know things about your business and customers that we don’t (yet). 1. Explain what you need and why. In most cases, you probably need your team coming up with important benefits and succinct bios, not long sections of sales copy or lengthy blog posts. Make it easier for them to understand their time investment by explaining what you need from them and how it’s going to be used. If you need ideas or feedback from someone who’s either too busy to participate or uncomfortable putting their thoughts into words, consider interviewing them and then turning the resulting notes and recordings into finished web copy yourself. 4. Ask for less and offer to do more. Alternatively, you could ask your team members for bullet points instead of actual web content. Then, you can turn those into finished pages or have a professional do it for you. Either way, things will go much faster than they would have if you’d started from scratch. 5. Pull all the great minds together. If you want to spur creativity and action at the same time, consider having an in-service day where you gather everyone together and have them put their thoughts to paper (or pixels). In just a few hours, you might be able to get most of what you need. 6. Make it fun (or competitive). 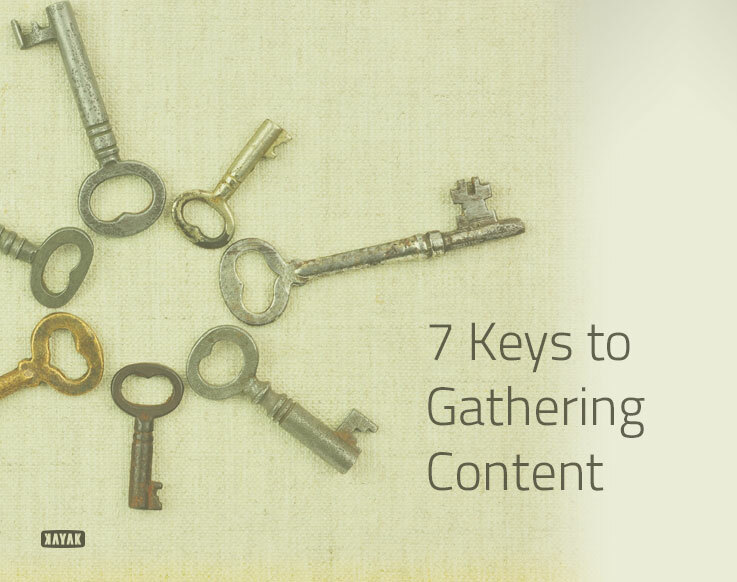 Creating content doesn’t have to be a chore. In fact, things usually go better when everyone involved is having a good time. So turn it into a contest, where the person who submits the best ideas gets a gift card or an afternoon off. In situations where a lack of content is holding up the launch of a website or the progress of a lead generation plan, go with the “nuclear option” and ask a supervisor to demand that everyone gets to work on what we need. This isn’t always the best for creativity or morale, but it can move the project forward. Bonus Tip: Provide a safety net. Even some of the best and brightest minds don’t enjoy writing or may feel self-conscious when it comes to sharing their work. So why not give them the safety net to free their inhibitions a bit? Let them know that anything they give you will be run through a professional editor or proofreader before it goes online. That might be enough to make them feel comfortable and get them writing. Getting employees and colleagues to participate in the content creation process might not be easy, but it doesn’t have to be an unmanageable chore, either. In the end, their input means having a much stronger marketing platform – and that’s what ultimately separates you from your competitors.